One of the benefits of a slower pace in the summer is that I get to read more. While at the lake last week, I cracked open a book with the odd title Acedia and Me by Kathleen Norris. “I thought this could be relevant for you,” said my friend Cal after he and his wife Linda picked it up for me on a trip. Cal knows me well since he and I often struggle with the same types of issues. “Let me know what the book is like,” he added, and even though I am only ¼ of the way through the book, I thought I’d begin to answer Cal’s request. He was right, the book has been very relevant already. The word was originally coined by the desert fathers and mothers of the 3rd century AD. They were a group of hermits and monks who lived in the deserts of Egypt to escape the pagan world and flee the persecution of Christians. Renouncing any pleasures of the senses and embracing solitude, they deliberately removed distractions from their lives so they could enter a deeper relationship with God. The spiritual disciplines of prayer, fasting, poverty and celibacy were practiced. I know when I remove distractions from my life in order to focus on something, it doesn’t take long before I get squirrely and restless. Simply opening a new page to begin a blogpost invites the urgent need to clean my keyboard or check my Facebook status. 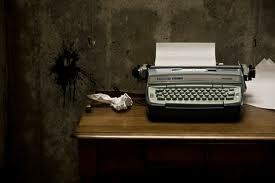 Any distraction seems much more inviting than what I had set my mind to doing. I can become like a horse veering off course without blinders. 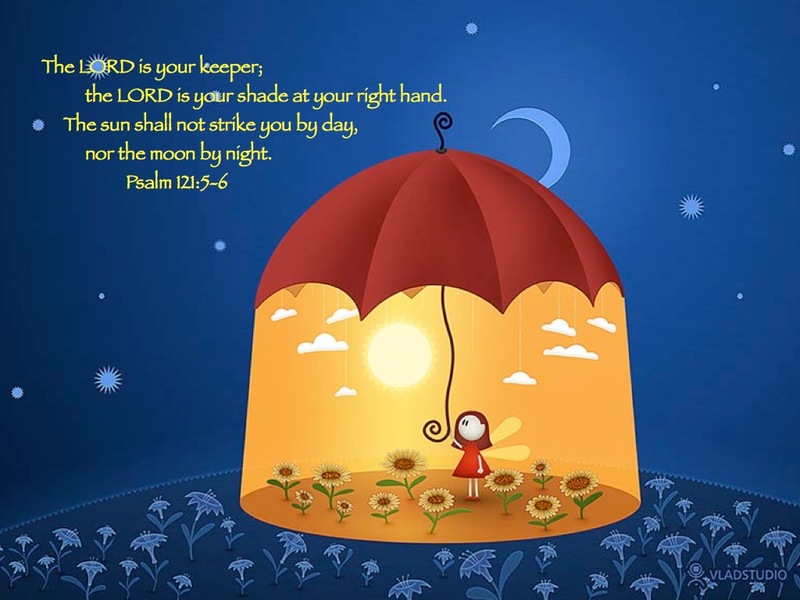 As the monks sat in their cloistered room (called a cell), seeking to follow God’s call in prayer or scripture reading, they frequently reported being tempted to want to be anywhere but where they were. 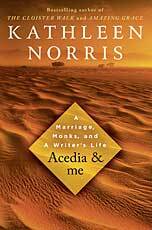 As Norris writes, acedia’s assualt wasn’t just an occupational hazard, it was a given. They became restless and faint-hearted. One monk from the 4th century wrote that acedia made it seem that the sun was barely moving, if at all, and that the day seemed fifty hours long. It became the worst at noon as the sun became hot and the monk was hungry and fatigued. He became highly susceptible to the suggestion that a commitment to a life of prayer was not worth the effort. The monks went to the desert fathers for advice and the condition was diagnosed as acedia, whose greek root meant “an absence of care”. It was said to be the vice that caused the most serious trouble of all, and it began to be known as “the devil of the noonday sun”. 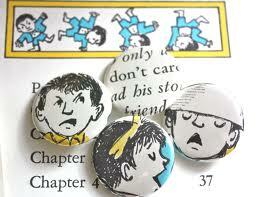 Norris writes of Maurice Sendak’s book Pierre, where a child keeps saying “I don’t care” to every parental inquiry. Finally a lion encounters the boy and wants to eat him. 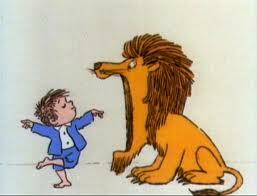 When the boy habitually responds with “I don’t care,” the lion pounces and eats him. The book has a happy ending when the lion is shaken upside down and Pierre emerges and is happy that he is not dead and realizes life is worth living. This image of being consumed by apathy, says Norris, is a perfect image of acedia. As I sat reading beside the placid lake last week, I read these ancient words and thought of my own profound inclination to be distracted and sink into an “I don’t care” outlook on life when life gets difficult. The metaphor of watering a dry stick is exactly how it often feels to stick with the discipline of prayer or ask the blog question, “Where is God this week?” Isn’t it just easier to give in to the insistent voices that say my anxiety or self-absorption is all there is? I felt addressed by the book, both in having my own “I don’t care” tendencies diagnosed as a spiritual temptation as well as the advice I received that it can and needs to be resisted. Norris makes it clear early on in the book that acedia is a vice that is best countered by spiritual practice and the discipline of prayer. She spends quite a bit of time distinguishing between acedia and depression, the latter being an illness that is best treated by counseling and medication. This route has never worked for me. I’m no monk, but our home becomes a bit of a hermitage when Lyle and I spend time reading and set regular times aside to pray, alone and together. Our community is a hermitage in our gatherings where we study scripture, pray and worship together. It has been good to recognize the temptations that exist in this calling and that I don’t have to be a victim.